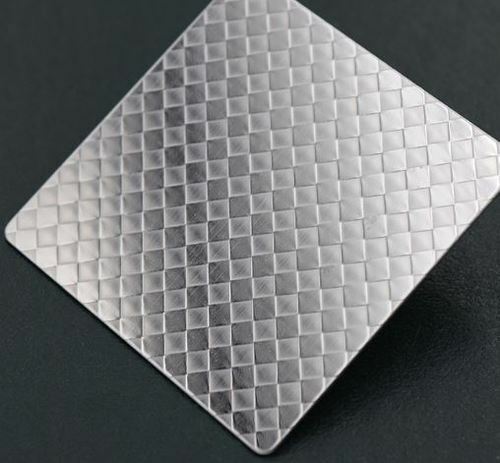 Pioneers in the industry, we offer linen silver embossed stainless steel sheet, ss honeycom finish embossed stainless steel sheet, linen finish embossed stainless steel sheet, designer stainless steel sheet and embossed linen gold stainless steel sheet from India. Owing to our rich expertise in this domain, we are reckoned as one of the most established manufacturer and suppliers of SS Designer Sheet. Supplied in varied sizes and thicknesses, these sheets find usage in decoration items. Moreover, made from excellent grade of materials and newest technology, our sheets are acknowledged for their optimum mechanical properties, durability and corrosion resistance. Additionally, we also can customize these sheets as per the needs of customers. our designer sheets have a unique multi-arc ion titanium coating, which is invented for the space research. 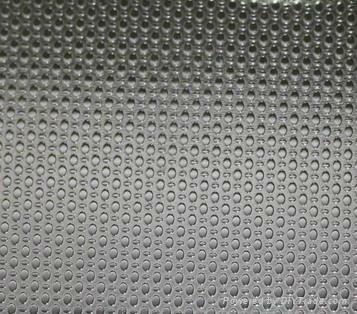 We are most certainly a leading manes among Perforated Designer Sheets Manufacturers. Our remarkable product range is the result of our adept efforts to give the best of our actions to our patrons. Each product is tested for sternness, high material strength, litheness and operational efficiency. 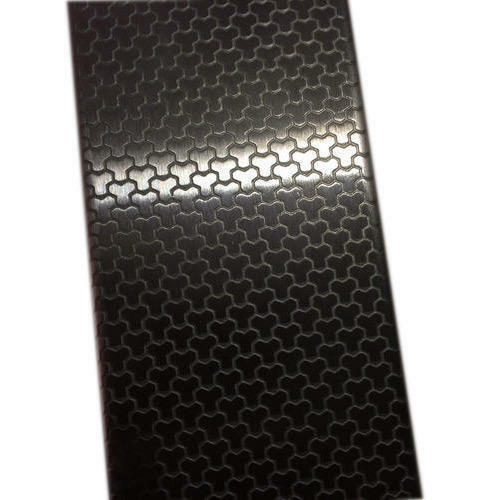 Looking for “SS Embossed Stainless Steel Sheet”?